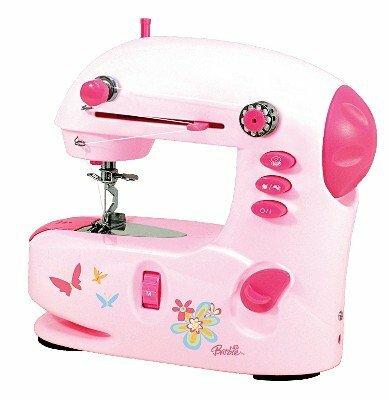 An Educational Toy - Lightweight and Protable Sewing Machine - Complete with Instruction book, AC/DC Adapter, Foot Control, Bobbins, No. 14 needle, Needle Threader and long spool pin for larger spools of thread. Can also be used with batteries( not included). Two speed with reverse.